Divorce attorneys in Pasadena know that animal lovers are willing to go to any lengths to make sure their beloved pets end up in the right place after a divorce. After all, dogs and cats become members of our families. But sometimes the fight for animal can get downright nasty. 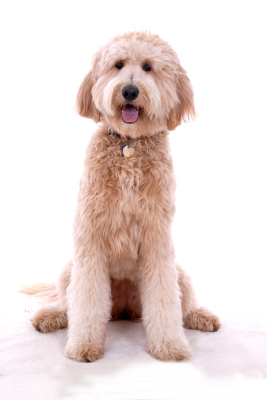 Lucy the goldendoodle is the latest victim of a parental pet tug-of-war brewing in New York. James O'Hanlon asked his sister, Margaret Healy, to care for Lucy while he and his now ex-wife Susan McCarthy went through a contentious divorce. Healy has taken care of Lucy for two years and is now fighting for rightful ownership of the animal. This week, Healy appeared before a Brooklyn judge to plead her side of the story. "I became surgically attached to the dog," said Healy. But her niece, 18-year-old Slaney O'Hanlon, claims that Lucy belongs to her. Slaney says that her aunt was only put in charge of the dog while she was attending a Baltimore boarding school. A tracking chip, she says, proves that the dog belongs to her and this latest court request is another attempt from her father to drag her through his marital problems. "It's just my father trying to get me in the middle of his divorce," Slaney O'Hanlon told The News. "I just want my dog back." Healy naturally has a different take on Slaney O'Hanlon and her mother. "They never came to see the dog or inquired about the dog," Healy says. She even alleges that the mother and daughter duo tried to dognap Lucy and chased Healy in an SUV. "I couldn't believe she followed me in the car. I almost fainted," she says. This altercation was the last straw and what prompted Healy to file for ownership of the dog. Slaney O'Hanlon has until next month to file a counterclaim.